Writer-Director Scott Takeda gives direction while producer Lori Kay Allred keeps things light. The Denver Film Festival just named our latest short film "The Outsider" as an official selection. The film will have two screenings during the festival's November 1-12 run. "We are so excited to have our world premiere in our home town," said writer-director Scott Takeda. "We shot this dramedy short with a lot of my family members, so I'm excited that they'll be able to attend. Our LA cast will be flying out to attend the red carpet and the premiere." "This is so huge," said producer Brock Sherman. "It's the 40th Year for the festival, which has premiered so many films like the Oscar-nominated 'Ray.' Last year, they screened Damien Chazelle's 'La La Land,' and this year, they are screening Greta Gerwig's 'Lady Bird,' Aaron Sorkin's 'Molly's Game' and other Oscar-buzzworthy films. It's very flattering to be among these filmmakers." "The Outsider" will screen in a block of Colorado short films on Sunday November 5th at 11:30am as well as Wednesday November 8th at 9:30pm. Both screenings will be at the UA Denver Pavilions theater in Downtown Denver. 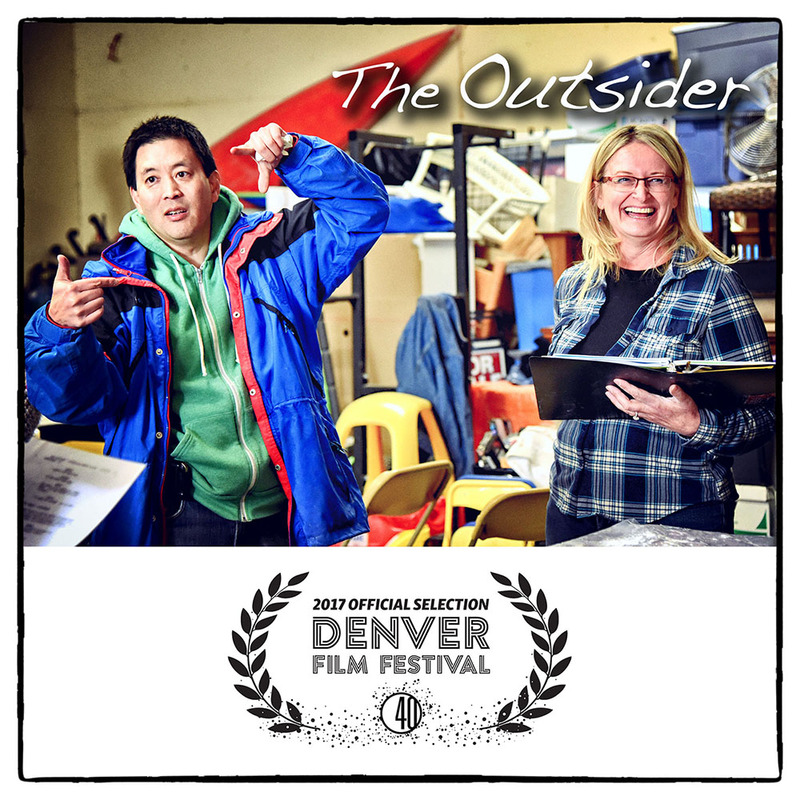 10/8/17 UPDATE - The Denver Post just reported that "The Outsider" is a finalist for the True Grit Award, given to the best Colorado film. 10/11/17 UPDATE - The first screening of "The Outsider" sold out within hours. 10/21/17 UPDATE - The second screening of "The Outsider" sold out. Denver Film Festival has added a third screening on Tuesday November 7th at 7:30pm at the UA Denver Pavilions theater in Downtown Denver. 11/4/17 UPDATE - The third screening of "The Outsider" also sold out.